Episodes tagged: Problem - EwONE! 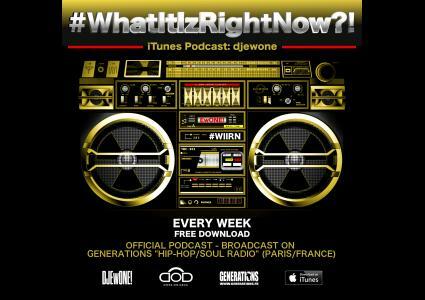 Radio Mixshow - Official Podcast, What It Iz Right Now?! (Fresh HH) - TroyBoi/Flexinfab/HUNCHO JACK/Lil Uzi Vert/YBN Almighty Jay/Problem/Tay-K/Migos/Dreezy & 2 Chainz/Jay Rock, Kendrick Lamar, Future & James Blake/Ace Hood/Riff Raff & DJ Afterthought... & More! (Fresh HH/R&B) - Snoop Dogg/Flahdaeh/Jooba Loc/YG/Drake/Kent Jones/Zuse/DJ Mustard/Problem/Kirko Bangz/E-40... & More!